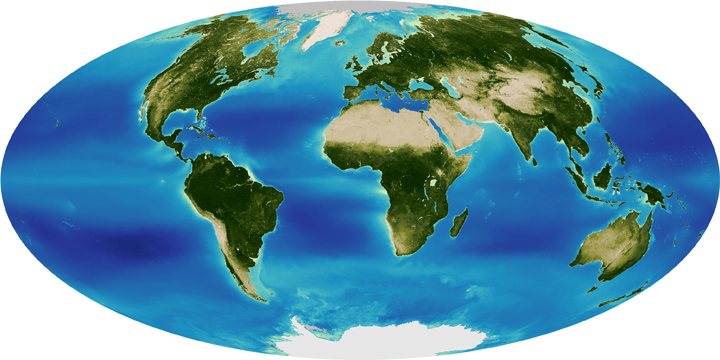 Read this to see government climate data manipulation and misinformation in action. Another example of why – tragically – government funded organisations have become almost the last places to hear the truth about climate change. Tony Heller has a couple of posts up at Real Science, which seem to expose some extremely dodgy behaviour on the part of NSIDC. Experts tell us that 2015 was the hottest year ever™, despite the fact that there was very little hot weather. It was by far the longest heatwave at Fairfield. Fairfield had a total of 20 days over 100 degrees during July, 1936. 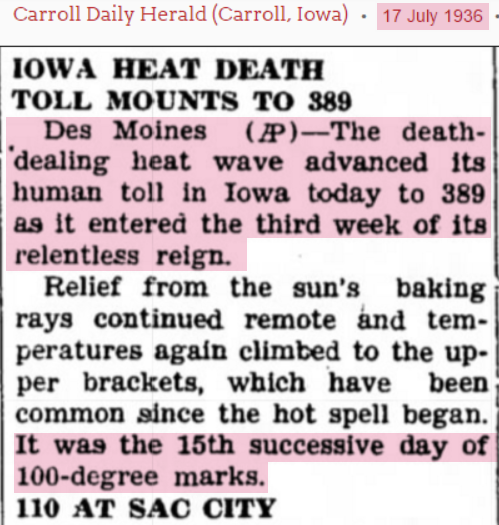 They set their all-time temperature record of 114 degrees during July, 1936. The “hottest year ever™” doesn’t seem to have anything to do with actual hot weather, but lots to do with hot air ahead of the Paris Climate Fraud Summit. Gavin Schmidt’s NASA adjusting climate data to fit its government (taxpayer) funded, Mann-made global warming narrative? shock news. 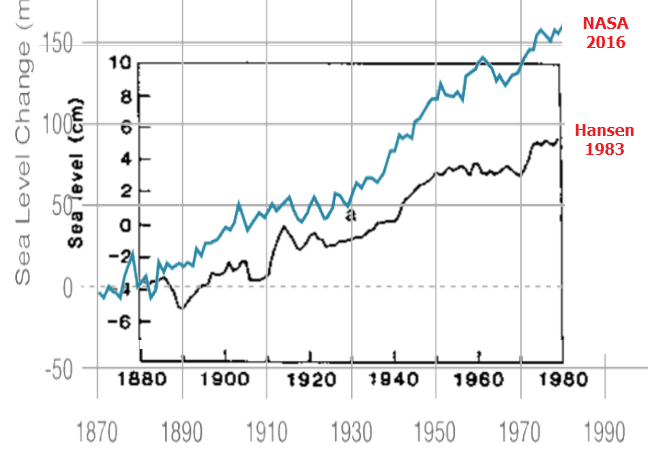 NASA has doubled 1880 to 1980 sea level rise since Hansen 1983. In 1983, NASA showed very little sea level rise after 1950. Now they show rapid sea level rise from 1950 to 1980. 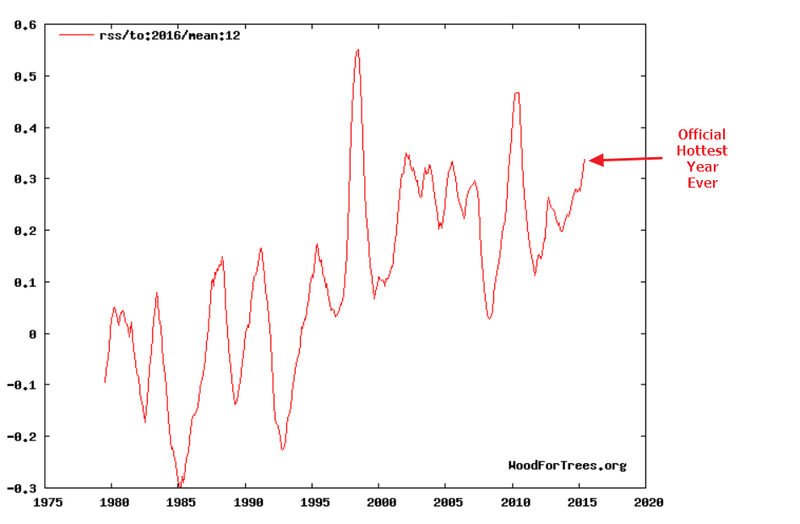 This fraud should not surprise anyone, because they have also doubled global warming via data tampering during that same time period. Wind / Solar base-load energy (Unreliables) – quite literally ‘pie in the sky’ technology. The Solar Impulse 2 has finally completedcompleted the latest leg of its round the world flight. 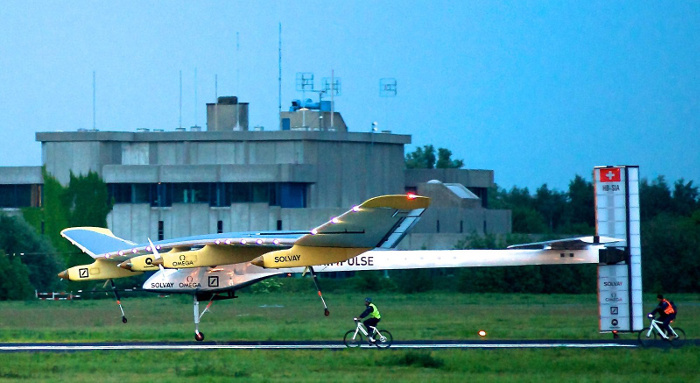 In engineering terms, a round the world flight using solar power is a remarkable achievement. But the difficulty of achieving this feat showcases why solar energy will never be a viable replacement for fossil fuels. An experimental plane flying around the world without a single drop of fuel landed in California after a two-and-a-half day flight across the Pacific. Piloted by Swiss explorer and psychiatrist Bertrand Piccard, Solar Impulse 2 touched down in Mountain View just before midnight (3 a.m. ET). Warren Buffett: “The public has the impression, because there has been so much talk about climate, that the events of the last ten years have been unusual…they haven’t! 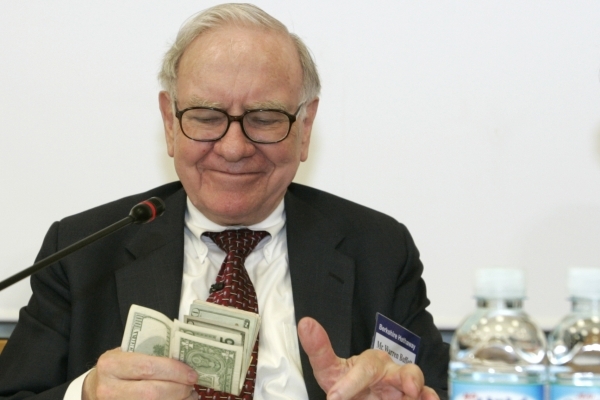 The poor get the “picture”, while Warren Buffett just gets richer. The following talk by Jim O’Donnell, Professor Emeritus of Business and Economics, Huntington University, was given to the Huntington County Planning Commission. I’m speaking tonight as an adopted son of Huntington Co. But as that adopted son, I have struggled to understand why my chosen homeland would develop wind energy in the southeast part of the county. The CSIRO did a similar study on CO2 greening the planet, then attempted hide it.